Joanne’s creative talents were a great joy and blessing for many people. She helped many businesses, entrepreneurs, writers and churches succeed through her writing and graphic art. Joanne loved making a difference and she was a trusted friend and advisor to many clients and organizations. In honor of her 50th birthday in 2011, Joanne’s first book, Be Still Moments, became available through All She Writ Publishing. We hope you will celebrate her life and gifts by purchasing a copy and telling your friends. We rejoice in this opportunity to continue her legacy of faith. 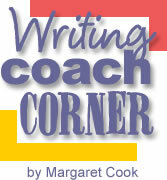 Joanne’s ministry to encourage Christian writers will continue at the Next-Step-of-Faith.com website. We welcome all readers. Writers with any level of experience are encouraged to email devotionals. Please tell a friend about the e-zine and the book. Join us in celebrating Joanne's life and continuing to tell the good news.